There are many ways one can bring art outside… and this is one of my (and my son’s) favorites. Then glue them onto an old CD. When you’re done, put the fabulous color wheel on a string… Now, your little artist can wear it around her neck and look for all the colors on her walk. To bring the memories home and make it more fun for the kids, grab your camera and take a picture, just like this… have fun and enjoy the beautiful weather (if it is as sunny as it is here). 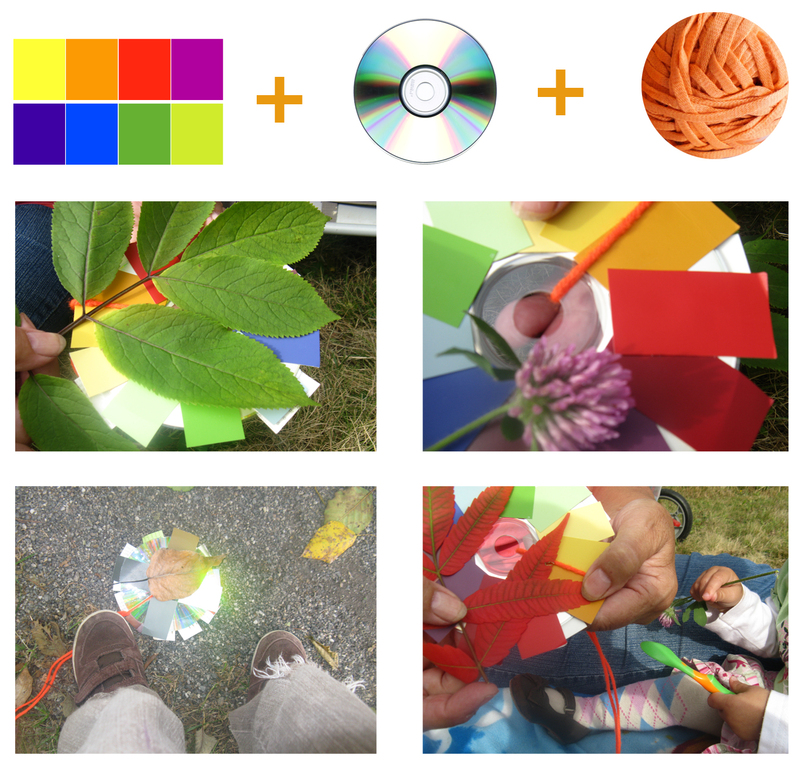 This entry was posted in Art Education and tagged art, ArTree, color wheel, craft, kids, magaizne, outside, photo, walk. Bookmark the permalink.